A major new office development in Nottingham, which will bring 4,000 jobs to the city, will have a positive ripple effect on the region for several years to come, according to a property specialist. The Unity Square development will house HMRC’s new regional centre when it is completed in 2021. The plans for the 628,000 sq ft scheme were given the green light by planners earlier this month (January). 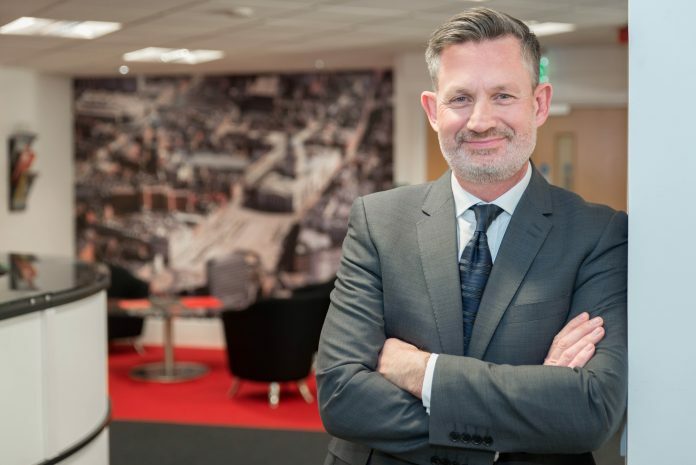 The Unity Square development is a welcome boost to the East Midlands office market, which is facing a challenging start to 2019, according to national commercial property consultancy Lambert Smith Hampton (LSH). The region is still a very popular place to do business for would-be occupiers despite a lack of available office space, says Nottingham head of office Phil Quiggin in the LSH East Midlands Office Market Pulse report for Q4 of 2019. In Nottingham, at 66,769 sq ft, Q4 take-up was up 32% on the previous quarter yet 55% down on the same quarter last year. There were 23 deals of significance, five of which were greater than 5,000 sq ft – including 13,945 sq ft let to Buzz Bingo at New Castle House and 9,730 sq ft to Wren Stirling at 13-19 Derby Road. Phil said: “After a small rise in Q3, availability has reduced in line with the underlying trend, now at 820,000 sq ft across the wider market, split 60/40 in favour of the out of town market. Some 31% of stock is Grade C and in need of refurbishment whilst still only 12% is Grade A. In Derby, at 37,497 sq ft Q4 take-up was down 22% on Q3 2018 but 37% higher than the same quarter last year.Only nine deals were recorded although four of these were over 5,000 sq ft – including two lettings totalling 16,000 sq ft at Kelvin House to Resourcing Solutions and Addaction (NHS) and 6,893 sq ft to Totally plc at Cardinal Square. Meanwhile, in Leicester, at only 24,500 sq ft Q4 take up was in line with Q3 2018 and just less than half for the same quarter last year.There were only eight deals of significance and only one over 5,000 sq ft – a letting of 12,600 sq ft at MW House on Grove Park.Availability remains at just under 379,000 sq ft across the wider market, over 80% of which is located in the city centre. The only building providing Grade A space is 3 Penman Way on Grove Park following refurbishment.